In a few days our youngest grandson will be five years old. Where did the time go? All of a sudden he turned from a baby to a little man. I have been picking up a few items for his birthday. He loves office supplies, just like his mother. When she was young, nothing made her happier than a ream of paper, a stapler, a roll of tape and some markers. So that is what I bought him, more paper and markers. Then last week I stayed with him for a few hours until his parents got home. He mentioned that he wants a robe. I asked his mom, and she said for some reason he really wants a robe. I thought that would be fun to add to his gifts. I started searching for one. I had no luck in any of the stores available to me. I found a little princess robe but nothing for a boy. I looked online and found a couple boy's robes, but they cost $39 plus shipping. He is worth it, but the way he is growing, it probably wouldn't fit him for very long. As I was searching online, I came across a wonderful website called mellysews. It has free sewing patterns. They had a free child's robe pattern. 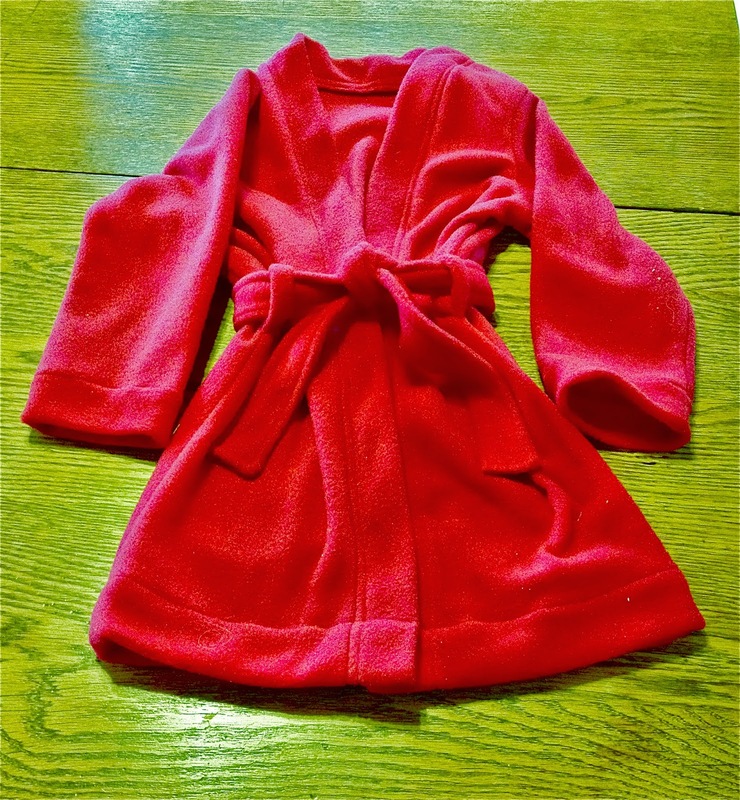 http://mellysews.com/2013/10/sleepy-robe-free-robe-pattern.html I thought I have plenty of time, I will just make him one. 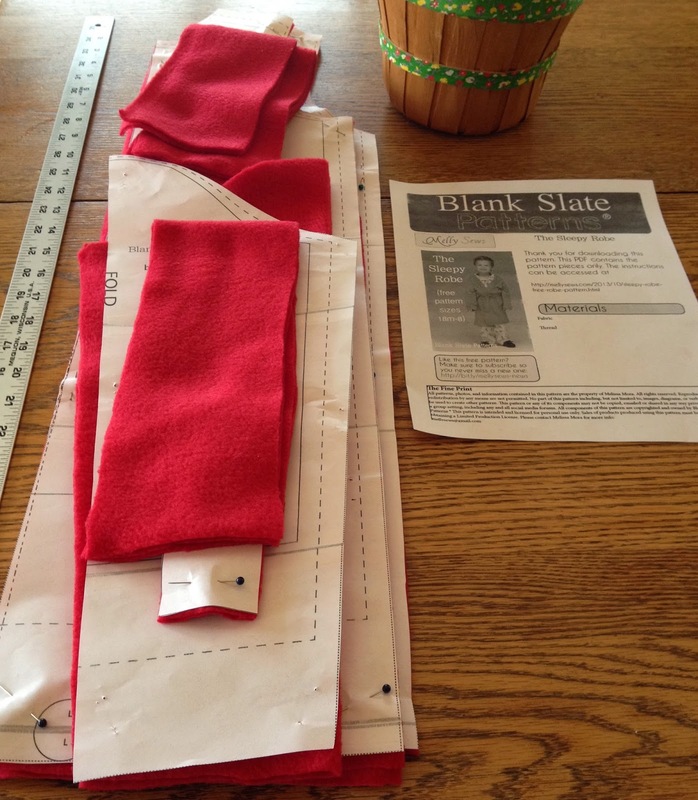 This Mellysews website allows you to print off all the pattern pieces. This robe pattern had 14 pages to print. Then you match up the letters and circles printed on the pieces. It was so easy. I just matched up the letters and taped the pages together. Then I trimmed the pages for the size I wanted. 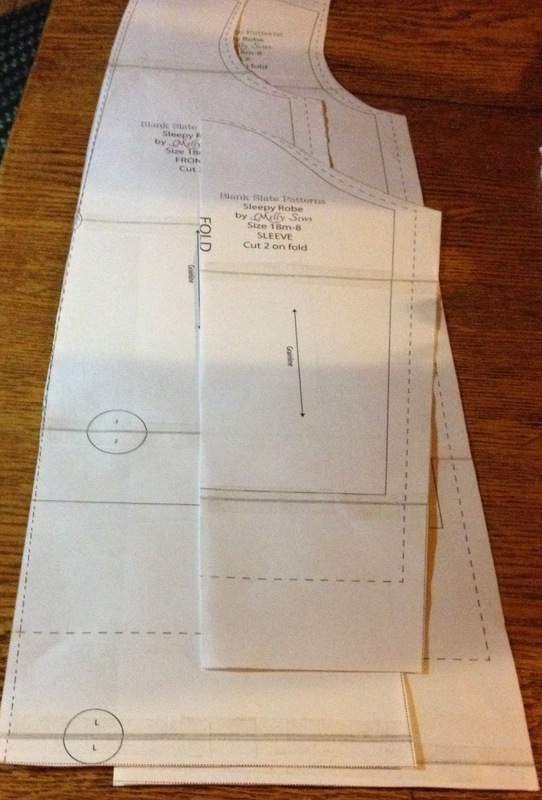 I also printed out the instruction page with step by step instructions for sewing the robe. Next I had to buy some material. That doesn't sound like a big task, but where I live there are not any fabric stores nearby. Recently a Joann Fabrics store opened in Oshkosh, Wisconsin, but that was a 45 minute drive. I ended up at the dreaded Walmart. I hate to admit that because some of my friends would not step foot in that store. I have to go there because it is the closest general merchandise store within a half hour. I found a wonderful light weight fleece for $2.94 a yard. I bought a little extra, so the robe took 1 ¼ yards and cost $3.68. That is a far cry from $45 to $50. I laid out the fabric on my dining room table and cut it out. Everything was going very smoothly until I took out my sewing machine. 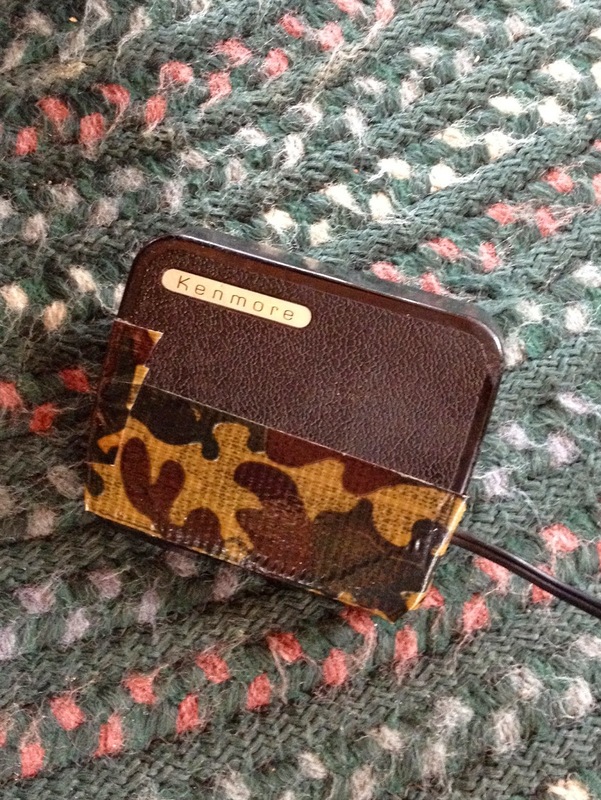 My Sears Kenmore sewing machine is over 40 years old. It has never given me any problems. I store it in the laundry room because I don't use it that often. I went down to retrieve the machine. As I was bringing it up to my dining room table, I dropped the foot pedal. It broke in half. All I could think was my grandson's robe was now going to cost the price of a new sewing machine plus $3.68. Somehow at that point $39 plus shipping didn't seem so much. As I had nothing to lose, I got out the super glue and duct tape. I proceeded to glue the foot pedal back together. I waited for a couple hours, held my breath and plugged it in. It worked. Everything was going great, until I got to the inside band. I switched to a stretchy overcast stitch. The tension went wacky. I had another panic moment. I walked away for a while to regroup. When I returned, I rethreaded the machine and walla it was working again. The inside band isn't perfect but it's good enough. Finished robe. I don't know why my table looks green. I think he will like it. He doesn't read my blog so it will still be a surprise. I will write about his party after it happens, and I will have him model his new robe. Update: He loves his new robe.